Who doesn't like to be comfy? Yet remaining in that comfortable place keeps your life tiny and prevents you from walking in all that God's created you to BE! He has more for you! Are you ready to ditch your comfort zone? Anything worthwhile is always outside our comfort zone! I know - God's been stretching me. I am pretty sure He wants to stretch you too! He has so much more for you! Discover what's keeping YOU in your comfort zone and how to step out and be FREE so that you can THRIVE personally & professionally! Can't join me live? No worries - register anyway to access the replay! You won't want to miss what I have to share! Who doesn't like to be comfy? Yet remaining in that comfortable place keeps your life tiny and prevents you from walking in all that God's created you to BE! He has more for you! 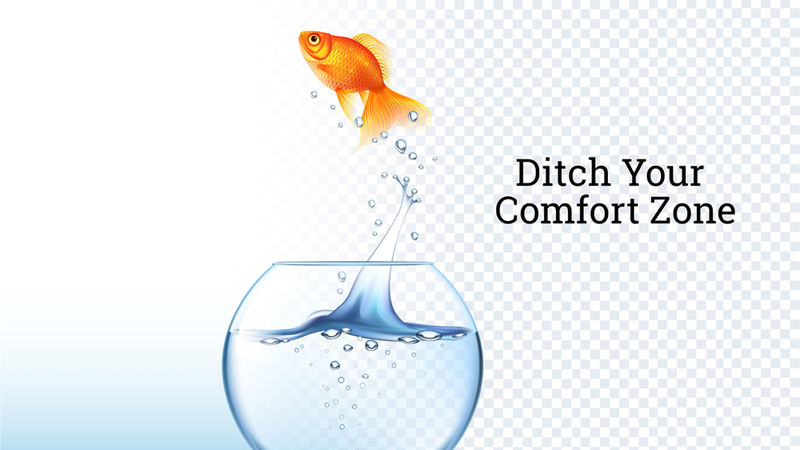 Are you ready to Ditch your comfort zone? Anything worthwhile is always outside our comfort zone! I know - God's been stretching me. I am pretty sure He wants to stretch you too! He has so much more for you! Discover what's keeping YOU in your comfort zone and how to step out and be FREE so that you can THRIVE personally & professionally! Can't join me live? No worries - register anyway to access the replay! You won't want to miss what I have to share! Learn the 7 myths that are keeping you in your comfort zone. Discover the signs - you might be stuck in your comfort zone and not even know it! Identify what's keeping you in your comfort zone and preventing you from walking in all you were created to BE! And most importantly...find out how to ditch your comfort zone so you can become more confident, get results, and find success not to mention THRIVE personally and professionally! The people around me describe me as an energetic, disciplined, and organized “go-getter” that loves her family and loves God! I am passionate about helping people become all that God has created them to be personally and professionally. I also love to read, cook, exercise, garden, create, and enjoy treasured times with friends! I’m passionate about life and feel abundantly blessed with the many roles God has had for me in my life.